Advanced Placement exams will be administered at La Quinta High School beginning May 6, 2019 through May 17, 2019. New McFadden Student Parking and Drop-Off Procedures starting Tuesday, January 29th. Starting Tuesday, January 29th, students can be picked up and dropped off at the new McFadden entrance in front of the school office. There are no changes to the Ward drop-off location or procedure. Comenzando el dia martes, 29 de enero usted podra dejar y recoger a su estudiante en “New McFadden Entrance” la nueva entrada sobre la McFadden enfrente de la oficina. No hay cambios en los procedimientos sobre la calle Ward. La Quinta High School is partnering with OC Health Care Agency to offer the Children’s Support and Parenting Program: Parent Project. This is a 12 week program on Tuesdays from 9am-11am starting Tuesday, January 15th where a marriage and family therapist from OC Health Care Agency will provide hands-on support for families who have students engaging in at-risk behaviors, academic struggles, and warning signs of mental health issues. Space is limited, so please call our community liaisons to let them know if you will be able to attend the classes. Our first class is next Tuesday, January 15th at 9am. The sessions are being offered in Spanish and English. We hope to offer more classes in Vietnamese. Please call 714-663-6344 to reserve your spot. La Quinta High School will be offering Princeton Review SAT prep classes for eleventh grade students to prepare for the SAT exam in May. The SAT courses will begin in March and finish just before the May SAT exam. Tickets are on sale now at the bookstore for $50. Please take the attached flyer when you purchase the ticket. CSU and UC applications are now open and are due by November 30th. 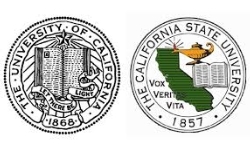 Click here for step-by-step instructions on completing CSU and UC applications. Seniors have three months remaining to take the SAT and /or ACT for college admission. Please click here for registration deadlines and step-by-step instructions. The Common Application Online is a free online undergraduate application used by over 400 colleges and universities. Many private and out-of-state colleges and universities utilize the Common App as their admissions application. Please click here for full instructions on navigating the Common App.